What does discretionary disqualification mean ? It is when the court has a discretion to disqualify a person from driving for any motoring offence that carries points (endorsable offences). What are examples of offences that carry discretionary disqualification ? The most common offences are speeding, failure to give driver details, driving without due care and attention and failing to stop and report an accident. How can you avoid a discretionary disqualification ? The court may be persuaded to impose penalty points rather than a discretionary disqualification in appropriate circumstances e.g if the offence is not very serious or if you would lose your job. Each case will depend on its own facts. The court may find special reasons not to endorse penalty points or impose a discretionary disqualification. What are special reasons ? Is a factor that the court ought properly to take into consideration when imposing a sentence. What could amount to a special reason for an offence that carries a discretionary disqualification ? No Insurance – being misled into believing there was an insurance policy in force. Who has to prove there is a special reason ? The onus is on the defence to establish there is a special reason not to disqualify a person from driving or endorse their licence with points. The standard of proof is on the balance of probabilities i.e it is more likely than not. The defence will normally be required to call evidence to establish the special reason. If the court find there is a special reason can they still disqualify you or endorse your licence ? Yes. It simply gives the court a discretion not to disqualify you or endorse your licence. Can you get a discretionary disqualification and penalty points for the same offence ? No. The court will impose either a disqualification or penalty points. The court cannot impose both for the same offence. Can you appeal against the length of disqualification imposed by the court ? Yes. The appeal will be heard in the Crown Court by a Judge and two magistrates. Are there any risks involved in appealing ? Yes. The Judge could increase the original sentence if you lose the appeal and order you to pay additional costs. Even if you win the appeal, the Judge could order you to pay additional costs though it would be unlikely. Why would I need a solicitor ? To deal with the appeal in the Crown Court. 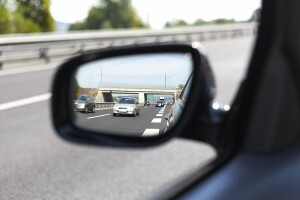 Are you facing a driving disqualification?